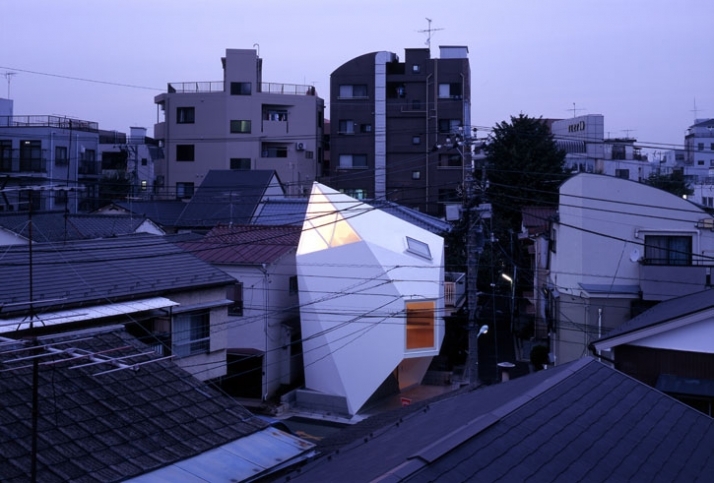 The team at Atelier Tekuto has designed a home from a dissection of a white volume. 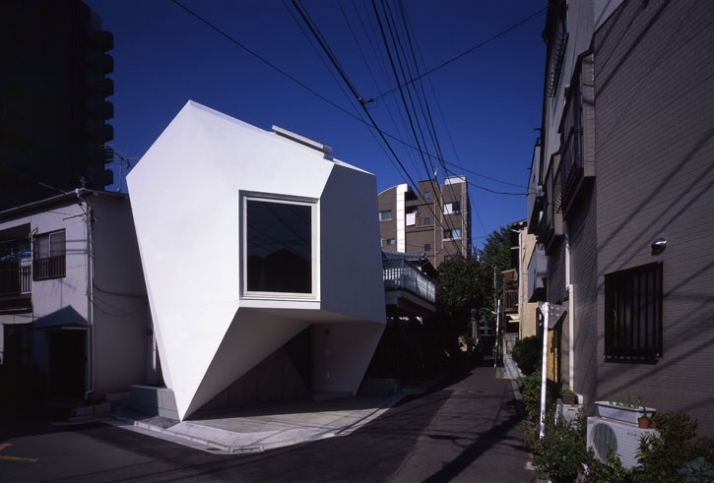 Located near the center of Tokyo, the complex architectural dwelling, although intricate in its angular play, has a serene and simple nature to it. The house exterior is stretched over a sea of unique planes in white finish. Utilizing elimination as part of the creative process, Atelier Tekuto pondered on the keywords of 'minerals' and 'reflection' to focus the dissection as a positive influence to the project. 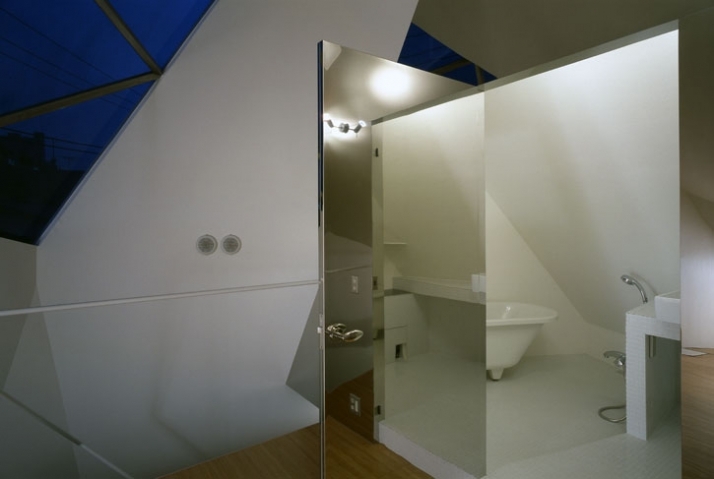 The dwelling's abstract form capitalizes on the idea that there is not one space alike, therefore strengthening the narrative to the natural minerals. 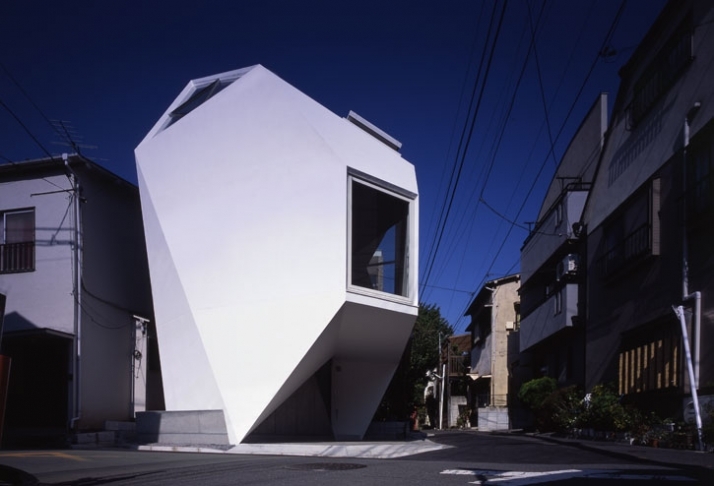 The polyhedron gives the home a new facade from every angle you look at it. This reflection allows for external and internal diversity as one travels through the space. The project is theoretically provoking but do we want our homes to feel diverse and ever changing or do we need that constant reinforcement that allow us to feel comfortable and safe? Although many questions to the vernacular experience come to mind I cannot dwindle the thought and articulation that the space and its three lighting facets - transparent, translucent and opaque - weave and change the internal experience remarkably. Within selected surfaces of the exterior facade, the interior space is exposed through windows and openings that take the shape of the dynamic exterior skin in which they are placed. 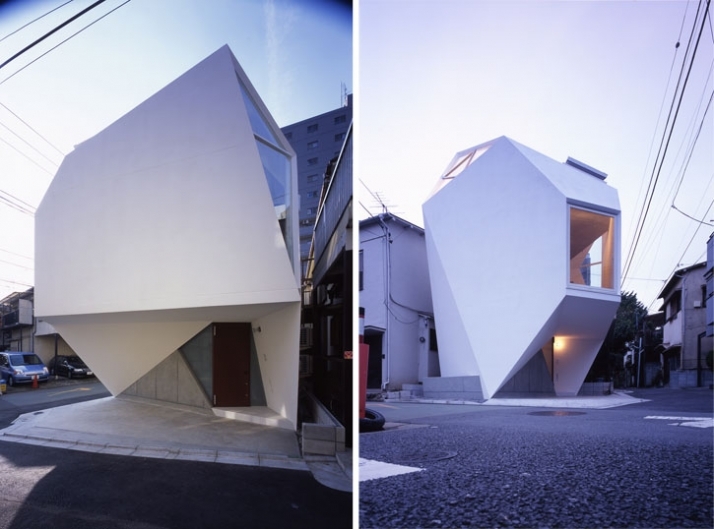 The form is white in color, allowing us to see the sharp folds and steep angles created to build the extreme dimensions. The house stands out as an energetic, a stark contrast to the surrounding architecture; the form created makes you reflect and wonder how the exterior influences the interior. 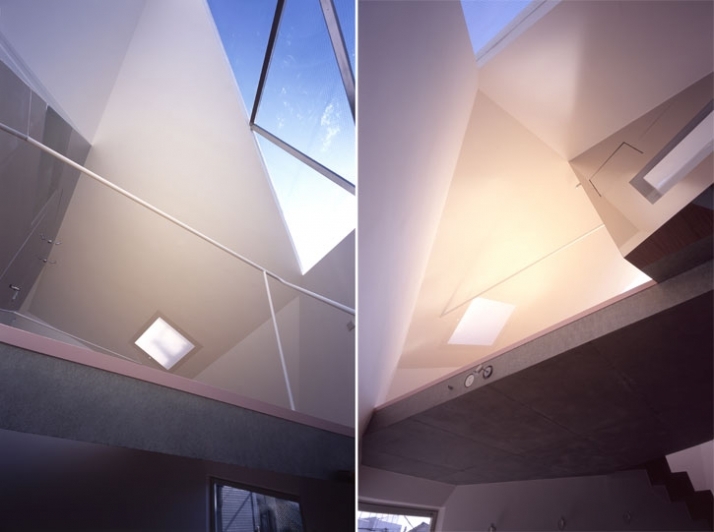 The unnaturally shaped windows create interesting patches of light on the interior walls as the sun filters through. 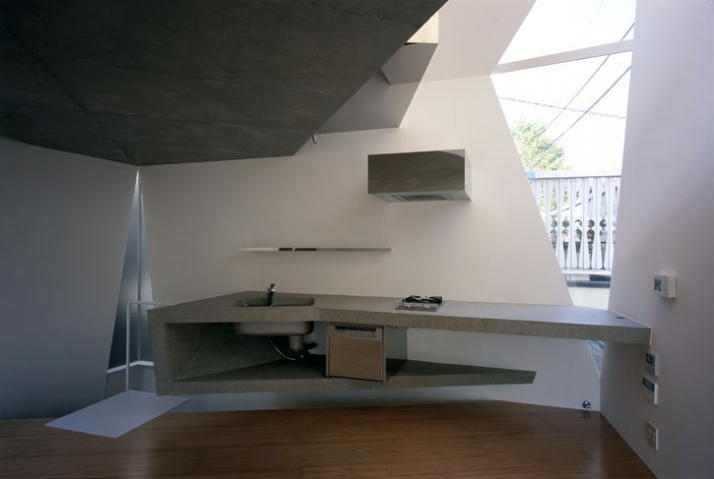 Complementing this angular form is the interior volume itself; unusual angles and shapes begin to form positive and negative dimension for living and dining. The interior palette is light in color, this allows the daylight to bounce around the rooms and bring life to the space. 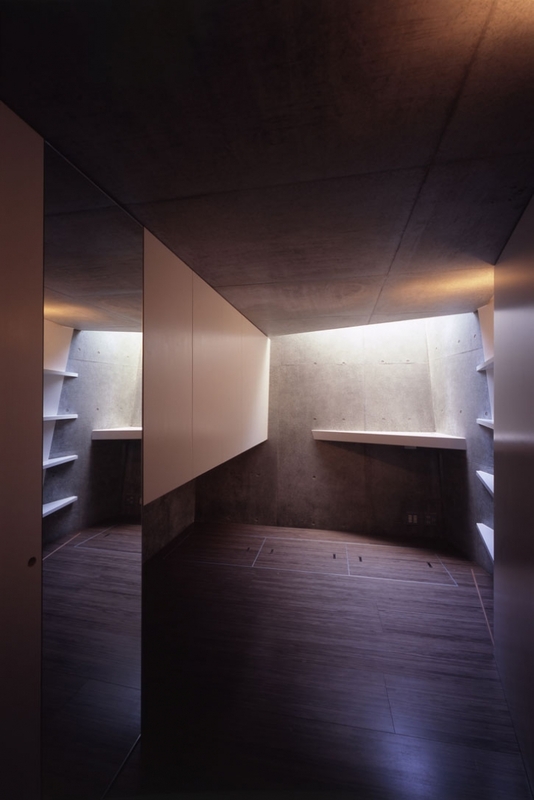 While there are heavy volumes of concrete, it's not overwhelming or too heavy because it is balanced with the fragile, translucent glass opening of the interior environment to the exterior world. 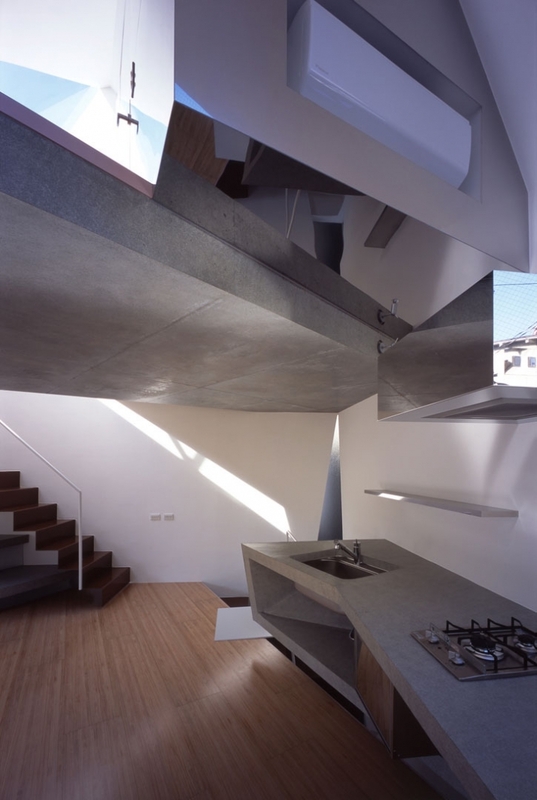 The angles forming the interior walls shape the space into new forms and dimensions as they invite you to investigate oddly shaped corners and interesting spatial relationships. There is nothing parallel about this space, every plane dissects and interrupts another. 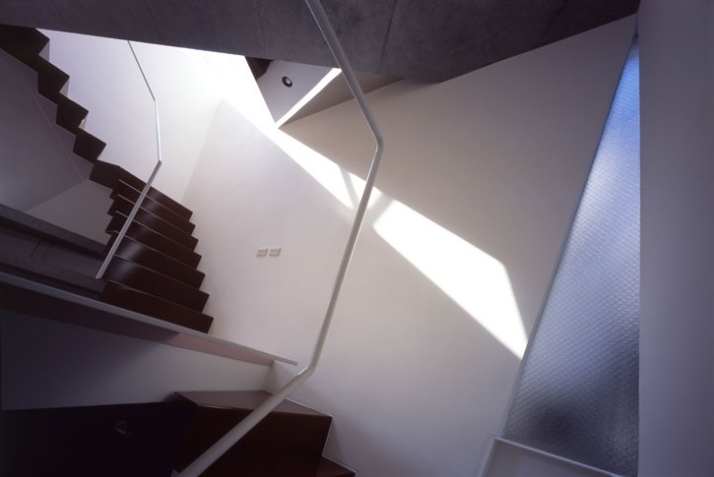 The main stair folds rhythmically from the floor above, acting as a skin just like the exterior one. 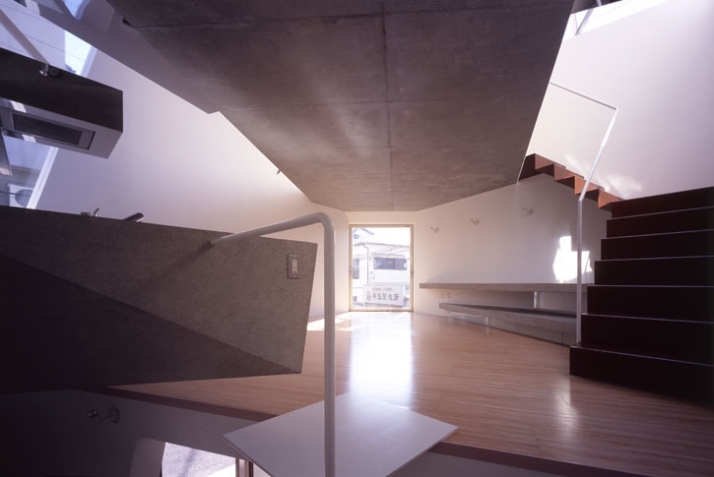 The serene quality of the exterior is juxtaposed to the aggressive angles in the interior. It reminds me of the phrase 'a diamond in the rough' , a thought provoking and formally interesting project. I wonder how the project would turn out is we could flip the forms from inside out. Now I am intrigued!